If you are considering starting a Martial Arts program for you or your child, the information in this article is going to be incredibly helpful! Why? 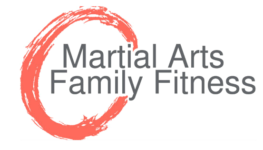 Because we’re going to lay out a solid criteria to help you avoid a place that might have poor instruction, contradictory morals, or sketchy business practices, to find the best Martial Arts School for you and your family. How much does martial arts cost? After just a cursory Youtube search comparing different Martial Art styles, you may start to think that all styles look similar to each other. This is because of the limits of anatomy; there are only so many things that the human body can do. The real difference to look for in your search therefore, is not the style, nor the techniques, but the culture and philosophy of the Martial Art school in question. Two schools with the same style may produce two completely different experiences, so it’s good to look a little deeper into each. Every Martial Arts school offers something unique: a different type of community, a different experience, and therefore a varying quality or value. It’s best to determine what kind of value you want to get out of your Martial Arts Experience before making a judgement based on price. With the above in mind, we’ve put together 5 questions that we think are most important to ask when trying to determine what school will be best for you and your family. 1) What are your expectations? 2) Does the school meet your expectations? Reviews and Testimonials – check out the school’s reputation on review sites like Yelp and Google. How long have they been in business? What do others have to say about the quality of instruction? Values and Mission – just as you are clear about what you are looking for, you will want to find a school that is clear about who they are and what they have to offer. Look for your priorities in their messaging. Age Specific Curriculum – regardless of whether you want lessons for you or a family member, it is important that classes are divided by age according to capabilities. For instance, teaching a 40 year old, a 13 year old or a 6 year old require different skills and distinct curriculum. The more specific the better. The Team – how many instructors are there? Is there a support staff? A professional school should have a team of qualified instructors to ensure an appropriate student/instructor ratio. There is consistency and support in a team vs. the best intentions of a single operator. Legacy – Martial Arts is steeped in great tradition and there are many benefits in being associated with a school that has a rich history and connection with a governing system. 3) Is the school your tribe? The internet is convenient but you must go visit any school you are considering before you make a decision. Go at a time when classes are happening so you can get a sense of the tribe. Are students happy? Is the staff helpful and friendly? Does the instructor follow written curriculum or are they “winging it”? Does the schedule have classes 6 days per week? 4) Is the Instructor qualified? Assuming that you are still interested in a school after the online research and in-person visit, it is time for a meeting with the instructor. This is your opportunity to drill down to your priorities and get a better understanding of the philosophy of the school and what your path would include. What experience and training do you have in working with children? Where did you teach before this? May I speak with one of your long time students? What do you love about teaching this art? If you’re looking for a place for your kids to train, you may also want to do a background check on your instructor or ensure that the school you’re looking at does background checks on their staff. 5) How does it feel to be a student? The benefits from martial arts come with the commitment and consistency of training. So, although a free trial class is nice, you will have a better idea of what is best for you if you can take a trial program where you can actually learn some skills and experience first-hand how the organization runs. This trial program should be at least 4 weeks long in order to help you decide if you want to make a longer commitment. Did you have fun and yet learn something valuable? Do you have a goal and are your next steps clear? The decision to learn martial arts is the best one you can make for you and your family… as long as you find the best school for you. If you don’t find it right away, don’t be discouraged. Remember, you are looking for a place that you could call home for years to come. You might have to look longer and travel further than you originally anticipated but it will be worth it. We would love to give you a tour around our award-winning school and give you a free trial class. Please call or text us today!